Since 2002, I have been blessed with the opportunity to machine quilt the finishing touches on many treasured quilts. Each quilt is lovingly created and as a result, I strive to put the same amount of care into every quilt I receive. Whether it is finishing a quilt from a beloved grandmother to stitching out the final touches on a photo quilt or just quilting an overall design for a picnic throw, my customers wishes and desires are brought to life. I'm a Sew Batik Associate! Why Trust A Stitch in Faith? Denise Gmeiner is a national award winning quilter. 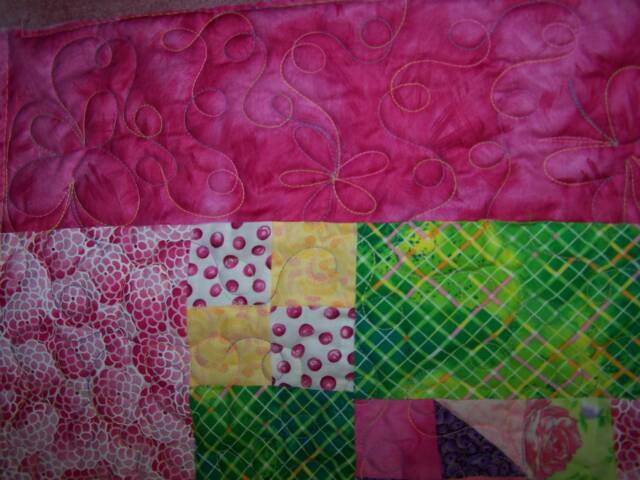 Specialized customized quilt designs to accentuate your creations. Denise is a member of the American Quilters Society and the International Machine Quilters Association.